I made this hat for a friend. She wanted something for a teen girl to gift this Christmas. 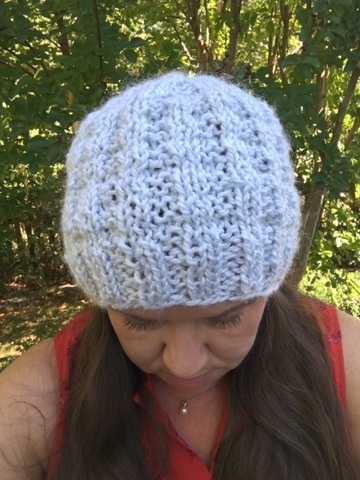 I used the Bulky Waffle Hat pattern by Linda Suda. 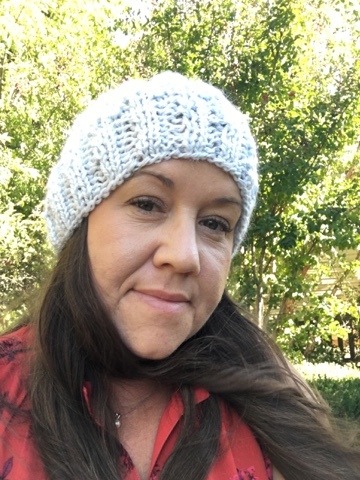 I knit the hat using Bernat Alpaca in the sky blue color. It was an easy pattern to follow. The bulky yarn made it very quick to knit. I do like this yarn and was happy to find a use for it. I originally purchased 4 skeins to make a baby blanket. That project never came about.....I highly recommend the yarn for easy projects. It's soft and nice to work with for quick projects.